Once upon a time, I was a defender of the US post office. I figured it couldn’t be easy to deliver mail correctly as often as they do. Then I discovered the problem: when something does go wrong, especially if it’s their fault, many post offices will not do anything to help you solve it. 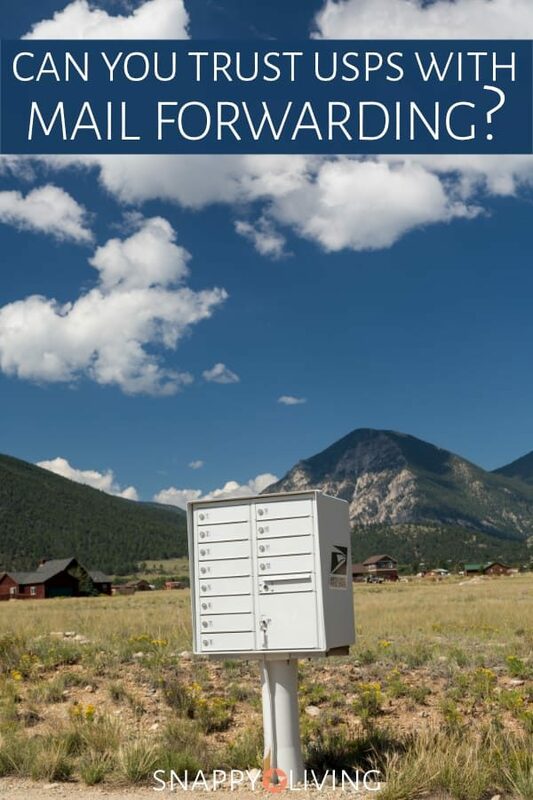 In this article, I cover some possible solutions, including switching to a virtual mail box system like TravelingMailbox or EarthClassMail. Mail forwarding becomes mail reversal? It started a few years ago when I moved across town from one zip code to another. I set up a forwarding order from Old Zip to New Zip and gave it to the carrier in advance of the date I wanted forwarding to start, as I had been instructed. Immediately – before I had even moved – I stopped getting mail altogether. It was all getting bounced back to senders – including important checks and bills. The carrier was no help. Calling the post office was useless, because the supervisors were never available. I spent a lot of time driving to the post office and talking to a supervisor to get it straightened out. But it was like they’d never seen a forwarding order before. Before my very eyes they struggled to understand what their own form meant. Then I spent a lot of time and energy calling everyone who regularly sent me bills or checks. I had to give them my new address and warn them to expect the returned mail. Fortunately, they all took good care of me, but it was still a month before I had all my late checks and bills at the new place, because it took so long for the mail to be returned to sender. In the meantime, they bounced some mail back from my bank, causing the bank to close my ATM card for fear of fraud. That was yet another phone call and inconvenience for me to deal with. But that’s not the worst of it. I thought my mail forwarding issues were resolved until a few months later, when I bought something on Ebay. I’d bought some vintage items that couldn’t be replaced. They never came. After a few weeks, I emailed the sender and asked what address she’d sent them to. She wrote back with my new address and gave me a tracking number, too. I checked the tracking number on the USPS website: it said my package had arrived on August 6th to my old address. Their own tracking proved they had delivered it to the wrong person. Get it? My new post office, for lack of a better term, reverse-forwarded it back to my old one. How does that even happen? The package mysteriously disappeared forever. They swore the carrier had delivered it, so they assumed the new tenants in my old apartment had opened the mail and kept it. Yeah… that’s one possibility. I asked the post office to investigate how this happened. They assured me I’d receive a call within two days, which of course I didn’t. I never heard anything again, and never got so much as an apology. Since then, I’ve talked to a number of people who had the reverse forwarding thing happen once their forwarding order expired. It seems like this just isn’t a function USPS can handle anymore. I also experience an interesting situation every year around the winter holidays. My local postal carrier tends to take her vacation around that time, so guess who delivers parcels to my route? No one. Yeah – seriously. Parcels just mount up at the post office until somebody feels like delivering them. I now ask people to ship things to me via Fedex or UPS whenever I have a choice. It’s not that they’re a whole lot more reliable (I’ve had some lousy experiences with UPS in particular). But at least they have tracking numbers and an actual delivery schedule. Then there was the more recent incident where I sent someone a package via Priority Mail. It bounced back (forcing me to pay to ship it again) because, according to the USPS, the address wasn’t precisely right. Okay, fine – people get confused about suite numbers and “care of” and “attention” and all that stuff. But this parcel was going to the only business in a particular building. How confusing could it really have been? I really think sometimes they look for excuses to return mail so you’ll have to pay shipping again. And in this particular incident, I honestly believed the post office worker may have just tossed it down the sewer because she was one of the nastiest, rudest human beings I ever had the misfortune to have to deal with. I just didn’t even use mail forwarding. I notified everyone of my new address. And I made sure they understood I wouldn’t have forwarding, because that seems to lead to more lost mail. Result: no lost mail. At the same time, I switched to paperless billing (and autopay) on every account I could. Autopay and emails are more reliable than snail mail. I’ve also been testing out mail scanning and forwarding as an option. TravelingMailbox will scan labels from mail and parcels you get and upload them. You can ask them to (a) just shred it, (b) open it and scan the contents of paper mail or (b) forward the mail/parcel to you. This is especially good if you move or travel a lot and don’t ever want to have to update your address with anyone except Traveling Mailbox. They can even deposit checks for you, for an additional fee. For outgoing mail, I’ve found that another post office near me is far more reliable. The staff is also professional and courteous. By using them for deliveries, I’ve had no trouble shipping things. But I’m stuck with the post office for my zip code when it comes to receiving mail or mail forwarding. And that post office is one of the crappiest I’ve ever encountered. So, again with the need for mail scanning and forwarding. You have the option of starting an investigation when the post office loses a shipment I did start an investigation when those Ebay items went missing. It felt to me more like a smokescreen to make you think they’re trying to do right by you, when really they’re doing nothing. But if you want to try it, call 1-877-876-2455 and choose option 3 for mail theft. (Do not choose option 1 – they’ll tell you to call 1-800-ASK-USPS, which is perfectly useless.) I used the phone option, and they were very professional and courteous, but they never called me back as they promised, and I don’t think they really did anything. What are your bad experiences with the post office? Well…USPS has lost my package, after sending it everywhere but, to me. However. I must share the most ridiculous mail forwarding instance, I have ever experienced. We bought a home in June. Our car insurance documents were sent to the previous homeowners at THEIR new home. Thank goodness they brought it to me. I wonder if they received my package and who knows what else! Wow, that’s crazy! So they just can’t keep straight which is the old address and which is the new. Just wow! I’m not defending USPS or challenging you or anything like that – on the contrary, I’m moving for the third time in five years, and reading this made me extremely nervous that some of my mail might be disappearing due to reverse forwarding. I always make sure to select “permanent,” so that shouldn’t be a possibility, but that’s why I’m extra curious if you’re certain that you selected permanent as well. I’m sure I marked it permanent. I’ve always filled those out very carefully, and I’ve filled out many of them over the years, and none were ever temporary. Read through the comments – you’ll see a lot of other people have run into the same problem. And in any case, “temporary” wouldn’t explain why something addressed to my NEW address got “forwarded” to my old address. That’s just incompetence. I have the good fortune to live in Michigan in the summer and Arizona in the winter- good for weather but IMPOSSIBLE for mail. My first year. I asked to forward my mail as of January 2. What a huge mistake! Do you know all those tax forms you get? W-2″s, 1099″s, interest statements, etc.? ALL LOST! I had to write to every possible entity that I should have received a form from and ask for a duplicate. I ended up having to get an extension on my taxes because it took me so long to find all my forms. The good OLD post office has no system for ‘temporary’ forwarding’. They can only hold for vacation or forward for life. My solution? I have to rent a PO box in each city I live in. Once I leave for the season, I ask a neighbor to retrieve mail once every two weeks and send it to me in large envelopes that I supply. This is not an easy solution, but I’d rather hand out a nice gift to my neighbor than loose all my mail. I’ve also put every account on-line so I don’t miss bills. I had an address change at the beginning of my college semester. I went to the post office and filled out all the change of address paperwork. I recently has my financial aid check mailed to me but my student account still has my old address, thus my check has been sent there. Will USPS forward my mail to my new address? After I bought my new car, I never received the title. I questioned it and found that my neighbor at a whole address had moved around the time my title should have come, and they probably forwarded my half address there. Yet, they did not put the title in the mail to get back to me, or someone lost it. Then, I wasn’t getting my water bills. I got my jury summons but not my ballot. Then I didn’t get my driver’s license I’d ordered online (two times now). I used the form online to complain and got a response, but nothing was fixed. Now today I realize that my license plate renewal did not come. Turns out the guy took it upon himself for forward all of my important mail to some other address – now anything legal with my middle name (which he used to forward or bounce back, or whatever) does not get to me. I have had to run around trying to solve the problem and it just gets worse. It’s tax time now……great!!! I’ll never get those docs either, will I? I don’t even know where to begin solving this issue since they are legal documents. I still get all of my junk mail though! Ugh! Pathetic. Reverse forwarding is happening to me and things are being redirected to my old address despite having the right address on my package. May I ask how you solve it ? What can I do ? It only happened to me with one package, and I never did get that package. I would say go to your local PO and talk to someone in charge, get them to promise they will talk to the other PO where it’s happening. Well just experienced this today. A package with tracking was delivered to my old apartment with it saying it was delivered to my (old) front porch. I still had a few months left of mail forwarding….I’m out around $50. I applied for forwarding on Dec 23, 2017. It is now Jan 23 and my forwarded mail has BEGUN to trickle in. I got mail every day at my old address and at this one? Maybe a couple of pieces every few days. I ordered new checks and they have been “somewhere” for over three weeks! Guess I’ll have to cancel those and yes, I’ve notified my bank. (where I should have sent them) It’s been a nightmare with no help and no returned phone calls. One lady YELLED at me and was very rude. I am as done as I can be with the USPO. Same story, different zip…30253. Out $125. I had the same experience as you when I moved from one zip code in town to another. I filled out the online forwarding form and never got mail again. I went to speak to the supervisor in person and he assured me my mail was on forward and he would check with the respective carriers about what the trouble might be. I continued not to receive any forwarded mail. Just like you, I got notices from companies etc indicating that my mail was being sent back to them. This was very important mail like tax documents and health insurance and bills. I also wonder about any mail I wasn’t expecting to receive and just never got. Exact same situation. We moved from one zip code in town to another (the post offices are literally 2 minutes away from each other). They said they had to forward all our mail from the old zip code to Dallas (4 hours away) to be processed and then send it all to my new address. Well, we received about 2 handfuls of mail that had been forwarded, then never received another piece of mail from our old address. We’ve lost credit cards, packages, bills, checks, and more. I also filed a mail fraud case, but heard nothing from the complaint. This is a FEDERAL offense, but they don’t seem to care. I’m planning on contacting the Post Master General next to see if anything can be done. I’d love to hear about it if you’re able to get anything done. Good luck! My daughter (Michelle) put in a forwarding mail order (& the killer is – you have to PAY for this crappy service???!!!). My name is Shelley, always has been, it’s not a shortened version of Michelle. Guess where all MY mail was going – to my daughter’s house. Even my Voter’s Card went there – seriously, doesn’t the post office even glance at what they are doing? Banks cannot forward mail, so guess who called me to see if I moved – my mortgage company!! Same story with pretty much anyone who mailed me stuff (made me feel like a deadbeat when I got calls from my doctors wondering why I don’t pay my bills). My husband talked to our usual postal carrier who is the ONLY nice one in this mess. He had a talk with the person who does his route on his day off – that didn’t help. My husband went to post office 3 times to talk to the useless workers (Post Master included) who swore up & down it would be taken care of. Today my daughter informed me that HER mail in HER name addressed to her new address was returned to sender – which happened to be for a State License. Guess who cannot get their state license! I had to change as many addresses as I could into my husband’s name because surprisingly post office CAN figure out Jeff isn’t a derivitive of Shelley or Michelle. My daughter was thinking of cancelling the forwarding order, but who knows what can of worms that will open up. Looks like I’ll have to waste an afternoon googling how to figure this out, or in the alternative, starve myself and then go talk to them because I am not a happy person when I’m hungry lol. One time a piece of mail was sent to me, delivered to the next door neighbor , who had moved, so the mail got forwarded to their new address. I received an email from them saying they had a piece of my mail! Another time, we used premium forwarding, and I received a bunch of mail addressed to a neighbor on a different street altogether. The real problem is, you don’t know what you don’t get. Started address change / mail forwarding at the end of June. Was I formed by different companies that my mail was being sent to me. Little to nothing arrived at the new address, though some pieces of mail did arrive. However important pieces were not arriving at the new address. Called old local post office, they confirmed mail forwarding was in place and that they had no mail for me. Contacted those companies, they said mail was returned to sender, stating the address was “vacant”. WTH?!?! I put in a (paid) application for mail forwarding, which was “approved”. A lot of our mail is still going to our old address (the neighbors are telling me), and a lot of it is being returned to sender as undeliverable. The old address also frequently gets delivered to the wrong address, not because of any mistake on the address label, but simply the error of the postal worker. We used to redeliver mail to our neighbors since it would frequently get put in the wrong mailboxes one or two buildings off the correct address. They also deliver periodic pieces of mail that I send BACK TO ME instead of attempting the address. I assume someone entered the incorrect address into the system by using the return address instead and they are too lazy to fix it. I have tried to send it three times, and brought it back again today for attempt number four! I swear I wrote this! I moved to another city eighteen months ago, and then moved home. Mail was forwarded well ahead of time, which should have worked. Post office tells me that I cannot move back into a previous address. Well, I did. Their computers can’t seem to handle someone moving home. I’ve tried contacting the media, without luck, and now trying my congressman. Good grief. What about people who live in two places during different times of the year? People move back to old addresses all the time. The non-profit where I work moved to another zip code in the same town. Granted, I didn’t put in for the change of address much before we moved, but it took almost a month before we began to get our forwarded mail. What we should have done was put a HOLD on all our forwarded mail, and then gone and picked it up, I was told by USPS. But the ridiculous thing is all the Topeka mail gets sent to Kansas City for sorting or something, and then back again for delivery. (I know, crazy, right?!!) Our forwarded mail had been accumulating in Kansas City, and putting a HOLD on it for pick up would have required a daily round trip of 140 miles or so – not realistic. In the meantime, our representative payee office was stressing out majorly, because of receiving client bills way late, etc.. I don’t understand it. I’ve moved personally several times, and forwarding my mail had an initial lag of maybe a week tops, then it was delivered in timely fashion. The USPS is movnig backwards at break neck speed. The one bright light was that I actually got through to a customer service rep by dialing the number you gave above (1-800-GET-HELP. And, I was actually able to get that person to understand my latest dilemma (somehow, our suite number had been changed from 202 to 103.) She changed it in the system, and hopefully will not incur any further delays. The scary thing is – how did our suite number get changed? The little yellow forwarding labels started showing the wrong suite #. The CSR couldn’t tell me how, but at least she fixed it. Ugh. I so feel all of this. I just got married, and the post office was an utter disaster. 10 invitations just vanished into thin air. 5 bounced back to us 4 months later. 15 RSVPs vanished. One RSVP arrived 2 months after it was post marked. 6 folks on our list had moved, and set up mail forwarding: none received their invitations, and only one of those invitations bounced back to us. We set up informed delivery, and things we could see there still got lost. Now that we are married (and reported our name change)? About 1/3 of the stuff that scans into informed delivery never shows up. We have both my full maiden name and my full married name on our box and letters addressed to either vanish at random. Our physical carrier is a gem, and really sympathetic, but the stuff is going missing before it reaches him and he doesn’t know why. It’s just sort of unbelievable how bad it is.